In May of this year, Overwatch released the Pink Mercy skin, partnering with the Breast Cancer Research Foundation to raise money and awareness for the prevention of the disease. The skin, which was available in-game from May 8 through May 21, cost players $15 USD and 100% of the proceeds were donated to the BCRF. 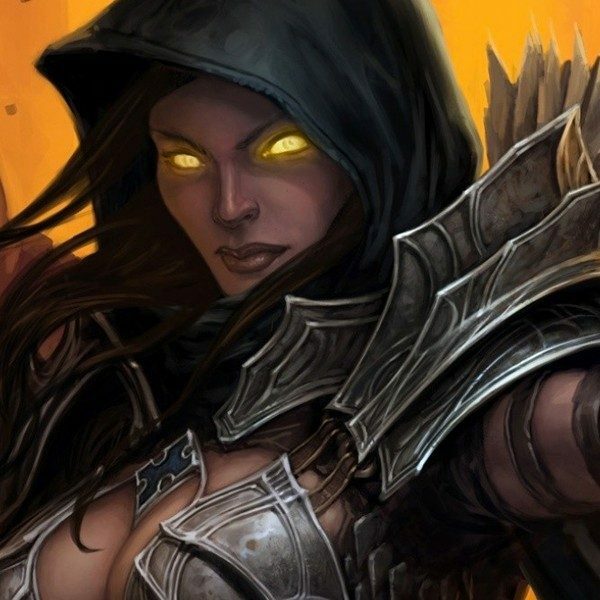 Blizzard announced in a post last week that the partnership had been a tremendous success. The fundraiser, which also featured Pink Mercy physical apparel for purchase, has raised a whopping $12.7 million for the charity! The announcement was perfectly timed to coincide with the Breast Cancer Awareness Month of October, and stated that this donation would be “the largest donation made by a corporate partner in a single year within BCRF’s 25-year history.” The Breast Cancer Research Fund has shared some insight as to how the money raised would be spent to support its research. The money will be split into three key programs: BCRF Precision Prevention Initiative, BCRF Translational Breast Cancer Research Consortium Award, and the funding of 25 Annual BCRF Research Grants. The BCRF Precision Prevention Initiative, launched this year with support from Blizzard Entertainment, will be a multi-year, dedicated prevention initiative. The main goal of the initiative is to identify promising research projects with the goal to reduce the incidence of breast cancer. The program kicks off this month when members of BCRF and breast cancer research specialists convene for a “think-tank” to determine which projects will receive grants to further their research. The Translational Breast Cancer Research Consortium Award, with donations raised from the partnership, will help fund five new clinical trials this year. These clinical trials are conducted within a consortium comprised of 19 medical institutions and nearly 200 investigators aimed at accelerating new treatments for patients with breast cancer. The Consortium uses a collaborative and multidisciplinary approach to improve the understanding of breast cancer biology and to test new therapeutic strategies through clinical trials. Finally, part of the $12.7 million raised will help fund 25 Annual BCRF Research Grants. These research grants are the very core of BCRF’s mission and provide scientists worldwide with funding in order to better study breast cancer, with the ultimate goal to eradicate the disease. The 25 research grants will be split amongst seven distinct research fields, focusing on diagnostics and treatment. Credit where credit is due: thank you Blizzard for using your global reach with Overwatch to raise awareness and funding for this incredibly important cause. 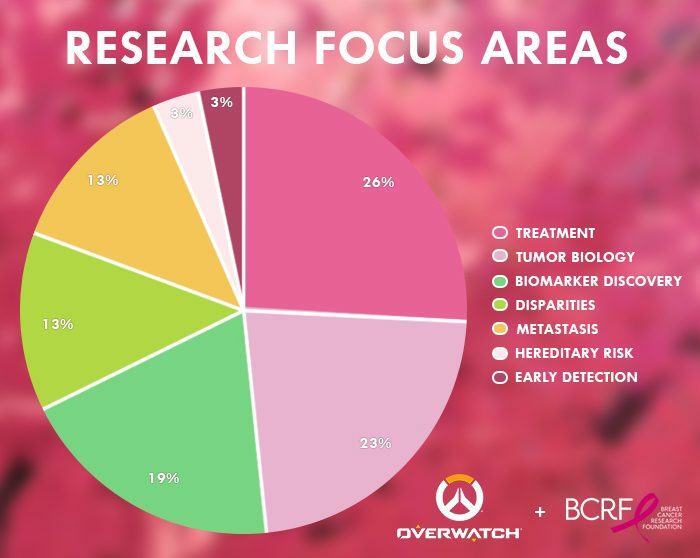 For more information on the Overwatch and BCRF partnership, visit the BCRF blog, and for more information on the Breast Cancer Research Foundation as a whole, visit their website.